Being back in Nebraska, I'm feeling pretty nostalgic about just about everything. The food, the places, the experiences. I've even seen in passing a few people I went to college with, which is strange for me, having been away for so long. Or maybe it wasn't even that I've been away for so long but rather that I've been so far away for a few years that it seems like a completely different world that I once belonged to. In honor of feeling nostalgic, now seems like the right time to tell you about a teacher who inspired me once upon a time. Despite me loathing the subject he fancied to the extreme, my fifth grade teacher Mr. Eaves took my curiosity to a new and interesting level. The last year I spent at Stapleton Elementary in Joplin, Missouri, was filled with experiments, trips, explorations into the organic world, and, most importantly, the gift of trust and respect from an adult. In elementary school I was part of a group of seven girls -- the Magnificent Seven they called us. We ran around the school like we ran the place, and the teachers knew that we were super tight knit. As we all ended up in the same fifth grade classroom, Mr. Eaves took advantage of our clique. Between experiments with wave bottles (soda bottle + oil + colored liquid), tornado machines (two bottles taped together with water, spin it and tornado), and building rockets that we shot off on a non-school day at a field near the local university, Mr. Eaves put together an aviary in the back of the classroom and filled it with zebra finches. Our task, as the Magnificent Seven, was to spend our fifth grade year taking care of the birds. We fed them, cleaned the cage, made sure their nests were cozy and clean, and at the end of that fifth grade year, Mr. Eaves gave us each a gift: We got to take some of the birds home with us. Me, being sentimental at that age and having the utmost respect for the teacher who made soda bottles interesting, named one of the birds Teaves. Our final project was to take the empty, barren space between the two legs of our school building and plan a large garden. We created water features, decided which plants would grow best in the shade and which needed complete sunlight. We built in little walking paths and bridges. We created an entire ecosystem based on our teacher's guidance and our own creativity. It wasn't until a year later -- when we were all in middle school -- that the area was transformed. Mr. Eaves invited us all back for the unveiling, and the picture of most of the Magnificent Seven is one of my most precious. The spark of curiosity that he inspired in me -- to get down and dirty to understand the mysteries and fun in the universe -- sticks with me even today. We loved Mr. Eaves for trusting us enough to raise birds and build rockets. He gave us the kind of respect that a fifth grader needs before launching into Middle School, which was such a gift for me at that time. And if you know the kind of person I am, you won't be surprised to find out that the Magnificent Seven went to the lengths of purchasing Mr. Eaves a plaque and balloon on the last day of school to show him how much we loved, respected, and appreciated him. Ridiculous, right? Although I fell a bit out of love with science later in life after some bad experiences with honors courses and not great teachers, I still have a fascination with hands-on activities and creating things. As someone who reflects on life through the written word in numerous capacities, I have to think on and thank Mr. Eaves for giving me the gift of trust, respect, and most of all, the gift of curiosity. Feeling inspired? I'd love to hear about a teacher who inspired YOU! Check out this video of Chris Emdin, a science teacher in the Bronx who (oddly enough) incorporates hip hop into his lessons to help students see science in a different way. Also: Consider donating to Teachers Change Lives by clicking on "Donate to a Teacher" on their website. After all, teachers are doing innovative things in the classroom and you can help them do more by donating! Passover: Asher's first trip to the beach in Ashdod, Israel. We fly in a few days from Tel Aviv to New York to Omaha. We'll drive on to Lincoln and then after a few days of catching up and seeing how things are with my father we'll be on to Denver. Our earthly belongings are on a barge headed toward the U.S., arriving with luck on May 5. Anyone have $3,500 I can have? The worst that could happen is that we can't pay for the container and our goods will end up on that shipping-container wars show. I'd love for the Israelis to bid and win our seforim (religious books). The past few weeks have involved friends, neighbors, and complete strangers moving in and out of our house buying and taking things, from the most trivial of bunny rabbit ears to the more expensive closets and appliances. Never fear, my purple KitchenAid is staying in Israel. I'm coming back for it. I've been amazed at the chutzpah of some people in the buying-and-selling process. Asking for discounts on our already half-priced items, plus delivery on the back of Mr. T. Sigh. In the U.S. when I moved and sold everything it went quickly, people came promptly, they took things apart and moved them themselves. It was a completely different experience. Why is Israel so desperate? I keep looking off the balcony at the view we have into the valley and on to Beitar and Tzur Hadassah. I'm going to miss that view. I'm going to miss a lot about Israel while we're away. I don't think I was here long enough to really adopt the Israeli mentality or mannerisms. My Hebrew isn't good because I don't use it much, and I can't yet argue on the phone with the utility company in the way that accomplishes anything. I'm too patient at government offices. I hate the chutzpah; I'll miss the chutzpah. If anything, Israel reminds me of the person I am, the unchanging person I am at the core. 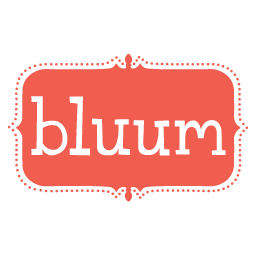 Simple (my Nebraska roots and an ode to my father), slow, forgiving, patient to a fault. 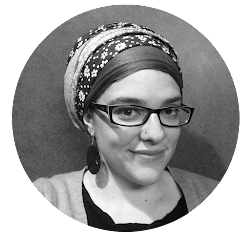 But also how my American sensibilities have created expectations that I can't seem to outgrow, expectations that might take me years once we return to Israel to really change. That I wish will someday change. Filtered water, a dryer, a bureaucracy that makes sense, a conscious of health (Bamba, Bamba, Bamba), kale, inexpensive convenience health foods, shaving cream, razors that don't cost a bajillion dollars, anything that doesn't cost a bajillion dollars. I'm too used to the convenience of stores where I can get high quality products for low prices. That's an expectation that probably will get worse as I go back to America. It isn't going to be easy. None of it is easy. The reasons we're going to the U.S. aren't easy. But this isn't yeridah (the opposite of aliyah), it isn't running away from anything. If anything, we're running toward something. We're running in the direction of peace, health, happiness. After all, everything comes from HaShem. I was contacted by the creative (and hungry) minds over at GetKosher.com to host a giveaway for their stellar services. Although I don't live in the New York/New Jersey area, I'm familiar with the need for a one-stop shop for kosher food delivery, especially with all of the tasty options available. Not familiar with the company? Keep reading to learn how you could win a $100 gift card to nab delicious, kosher nosh from GetKosher.com! The site and concept were built by 22-year-old Morris Sued, a Brooklyn local who founded the company on just $10,000, partly with money he won in a Baruch College startup competition in 2012. The first of its kind on the web, GetKosher also has a rewards-point system where you can redeem points for gift cards to Amazon, Apple, and tzedakah (charitable organizations). Ready to enter to win $100 gift certificate to GetKosher's delicious kosher options? You've got plenty of time. Questions? Let me know! Note: Because I don't live in the region, I'm not benefitting from this giveaway. I am, however, happy to help a kosher-keeping consumer benefit! Giveaway can only be eligible for readers in our serviced areas. Ah Passover! What a time of year, right? You get to spend hours cleaning your house of all that chametz (leavened goods made of barley, wheat, spelt, rye, and oats) and other shmutz that might have accumulated over the past year, while also meal planning the most amazing chametz-free week of food that won't fill you full of potato starch, potatoes, and more starch. Preparing for the season, I've lamented that our books are all packed up and leaving on a barge for America today. I also don't have all of the haggadot that I used when I was living in the U.S. (because I sold them ... sigh). 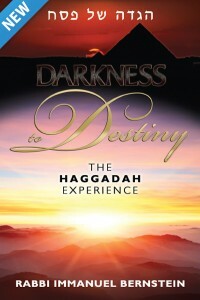 We don't have many things laying around that offer Pesach-season inspiration, unfortunately, so I've been blessed with the most amazing seasonally inspiring books from Mosaica Press, including Darkness to Destiny: The Haggadah Experience by Rabbi Immanuel Bernstein. I'll admit right off the bat: The cover is cheesy in the style of so many pieces of Judaica these days, which is off-putting if you don't spend a time reading books of the Feldheim/Artscroll variety. But please, give it a chance! One friend commented that the haggadah "seems a bit 101," which in truth is the way you want a haggadah to be. Sitting at a Passover seder table is not the place to be knee-deep in midrash, folks. It's small morsels of awesome, inspirational thought that will get you through the seder and allow you the option of participating by providing the other guests with some fun facts, tidbits, and takes on different aspects of the seder "service." Reading through Darkness to Destiny, I was inspired to pursue a few topics and even wrote about them on About.com. I had zero clue that the four cups of wine were in any way remotely related to the dreams that Joseph interpreted in the Pharaoh narratives. Curious by this morsel shared in the commentaries in the beginning of the haggadah, I ended up writing up a look at the different reasons for the four cups of wine at the Passover seder for About.com. That led me to considering the three matzot and the reason for having three instead of, say, four (as is the theme of the seder with the cups of wine, the sons, and so many other things). And this, folks, is what you want in a haggadah: Questions that raise more thought-provoking questions. The theme of Passover is, of course, "Why is this night different than all other nights?" So if you're still considering what haggadot to have at your seder, may I suggest this mix-and-match selection for the diversity of your guests that includes this very easy-to-read take on the classic.